New design of Anderson polycan #1 deep. Photo courtesy of Anderson Pots. 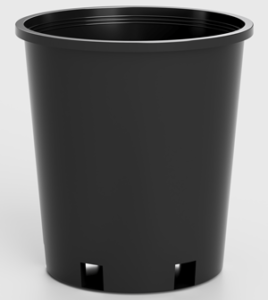 Anderson Pots has introduced new and improved #1 deep black polycans, which are designed not to stick together. The 0.74-gallon pots still hold the same volume, but have been upgraded for increased durability, improved stacking and superior de-nesting. Engineered to reduce grower’s costs, the new design increases the unit count per pallet to 6,500 units and 169,000 pots per truckload. The new pots are available now. This is the fifth new, cost-effective container released by Anderson Pots. Additional container and greenhouse pot products will be announced in early 2019. Additional information is available at www.andersonpots.com.